Just a reminder that this is still available. 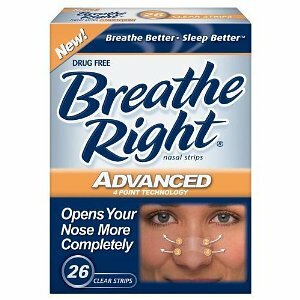 Click here to visit the Breathe Right site and click “Get A Free Sample.” On the next page you’ll be able to request your free samples. Allow 4-6 weeks for it to arrive in your mail. i get this when clicking on link: Server Error in ‘/’ Application. it wouldn’t let me sign up for the free sample because it said click on the sign in at top of page but there was no “sign in” at top of page. would love my husband to try for snoring!